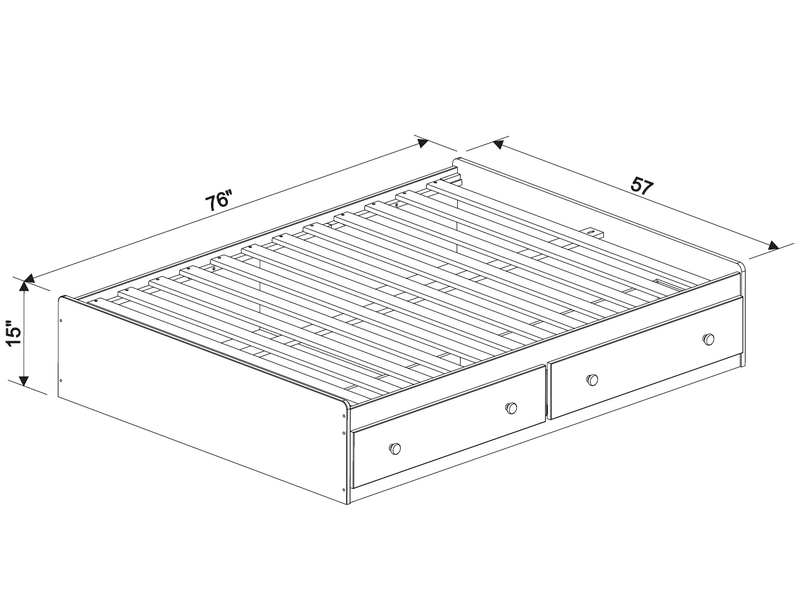 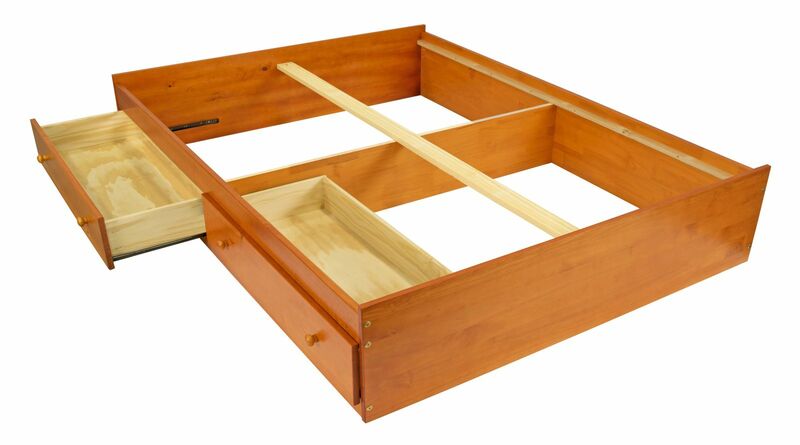 This full mate’s bed comes complete with two large drawers on metal Euro glides with safety stops providing smooth operation while plywood bottoms guarantee that even heavy items will be secured inside the drawers. 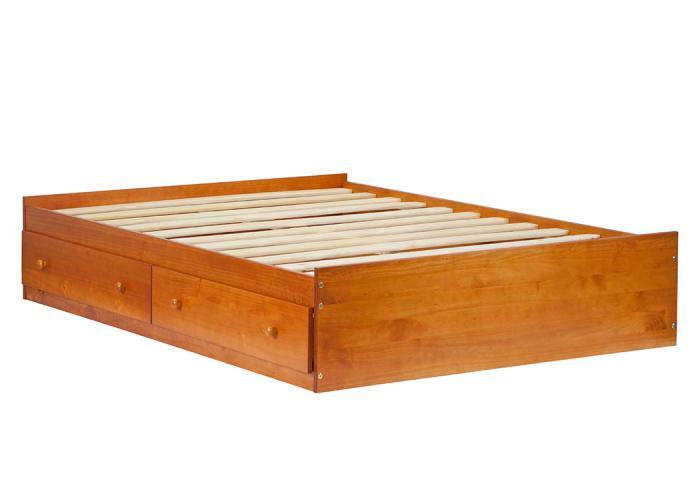 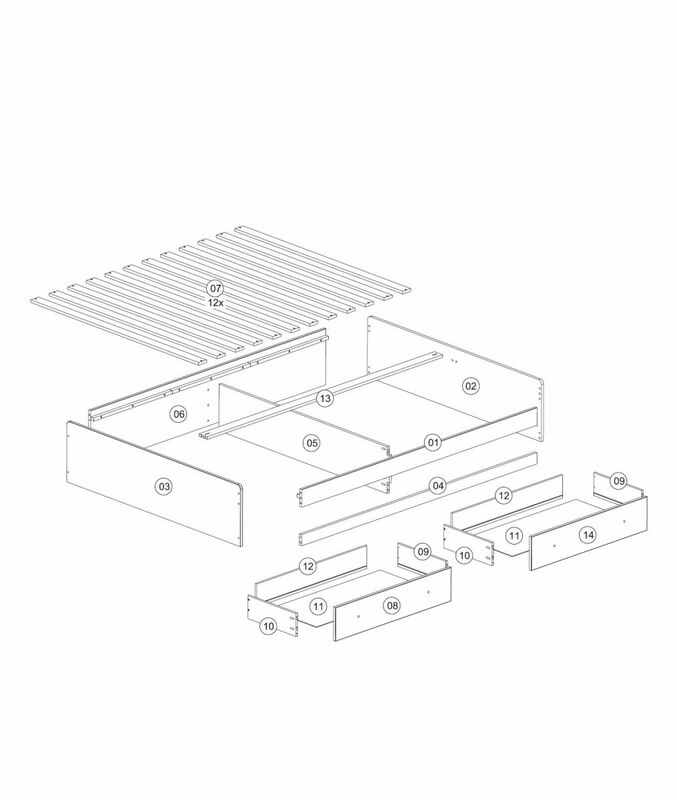 Twelve wooden slats are included and can accommodate any standard full mattresses. The bed is both functional and well-crafted which is enhanced by the aesthetics of all wood construction. 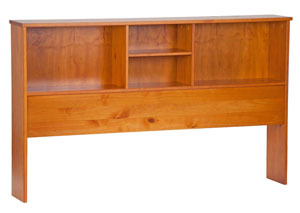 An optional bookcase headboard for additional storage and a safety rail guard for extra security are available as well. 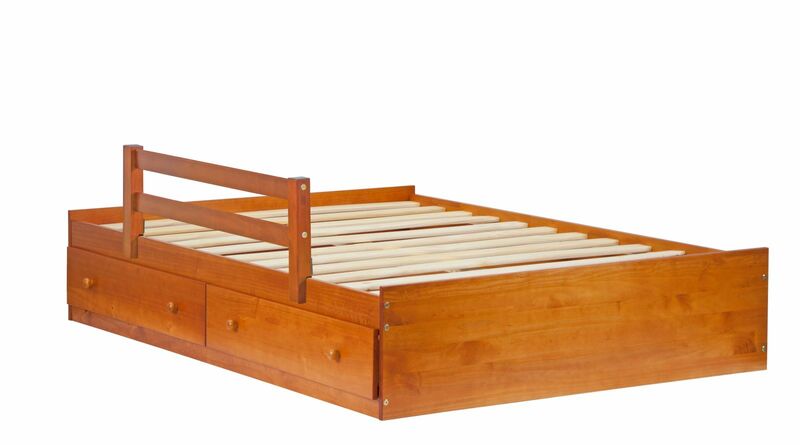 The beauty of 100% pine wood is enriched by hand painted finish which gives it a silky smooth feel and a spot-free appeal. 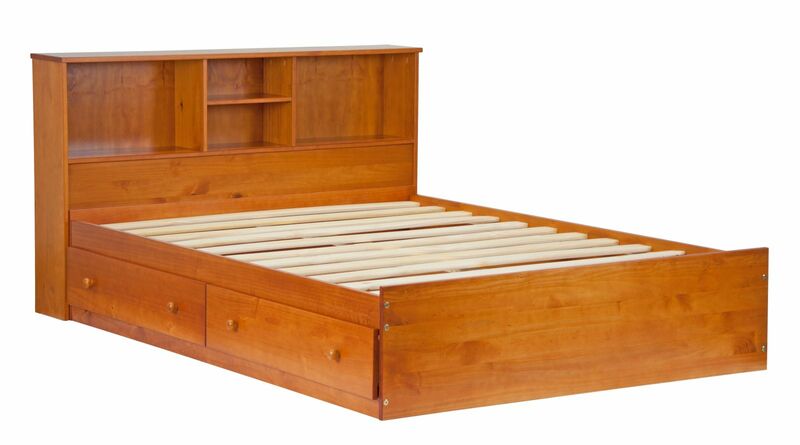 Available in three colors it can match your interior or you can choose other perfectly compatible furniture pieces from Palace Imports.